Food safety is an integral piece in the daily operations at Circling Hawk Farm. Honey and pollen extraction is done in small batches using the latest technology. Strict procedures are implemented for every person entering our facilities. Each person must go through a sanitizing procedure before entering our packaging room to ensure that external contaminants are not brought into our facilities. All our honey is packaged in our restricted access dedicated on site facility and every person must follow strict food safety and food handling guidelines. We believe our local food is not only safer but it's better for you. Local food has a shorter time between the farm and your table and it's less likely that it's nutrients will be lost in transit. Food imported from far away may be pasteurized, older, and has traveled on trucks or planes, and sat in warehouses before it gets to you. Locally grown food tastes and looks better. Our crops are picked at their peak, and our farmstead honey is hand-crafted for best flavor. Honey is naturally derived from local pollen and nectar and having local and diverse sources is important for your health. Diversity is higher where there are many small farms rather than few large farms growing monoculture like in large scale agriculture. Small farms don't plant crop varieties chosen for their ability to ripen uniformly, survive packing, and have a long shelf life. Smaller local farms grow many different varieties of crops to extend the harvest season while focusing on the nicest flavors. We do not use pesticide on our berries, hay or our corn. We only used un-coated seeds that are organically certified and not genetically modified (non GMO). We control weeds with row covers, drip irrigation, hand pulling and with hand cultivators. Our goal is to provide whole foods grown with great pride. Buying local food benefits the environment and wildlife. Small local farms are caretakers of the local ecosystem, we conserve and enhance the soil, protect water sources, provide space for native habitat and sequester carbon from the atmosphere. Buying Locally grown food requires less transportation. This generally means contributing less to sprawl, congestion, habitat loss, and pollution. Circling Hawk Farm has completed and we regularly update our detailed Environmental Farm Plan for the farm property. We believe this is important as we are committed to bring quality, safety, and assurance to our products while improving the local environment. 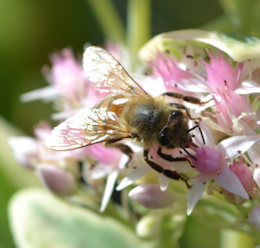 Honey is a sustainable product. Buying local honey supports local honeybees. 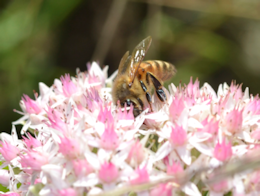 Our local bees are invaluable to our local nutrition, natural habitat and agricultural economy. According to research from the University of Vermont, local food is an investment in the future. By supporting local farmers today, you are helping to ensure that there will be farms in your community tomorrow. When you buy local you will also be contributing to local food security. Although no one knows what the future brings we do know that a lot of energy is being used on the storage, packaging, and world wide distribution of many foods brought into Canada from afar. 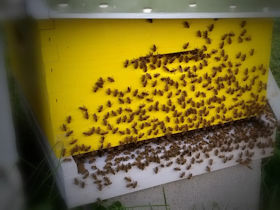 Many Ontario beekeepers have lost more than a third of their bees every year ? roughly three times the historical and national average. 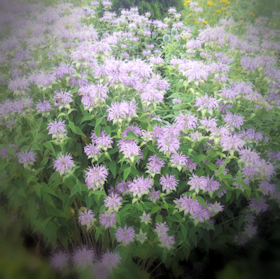 We at Circling Hawk follow an IPM program to do our very best to keep our honeybees healthy. IPM emphasizes the growth of a healthy crop with the least possible disruption to agro-ecosystems and encourages natural pest control mechanisms. This means we regularly check pest levels and we rotate the treatments used in the beehives. 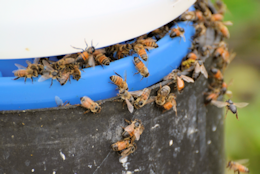 We follow strict biosecurity guidelines to keep a pest outbreaks contained within a colony or within a bee yard. We regularly inspect and replace old or broken equipment and dispose of it in an environmentally responsible manor. 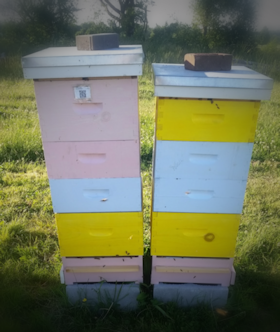 We have been trained on and have further developed the full spectrum of best-practices guidelines for Beekeeping IPM to keep our bees healthy.